Occupational Therapists help children take part in their lives to the best of their ability. For most children this includes play, school and self-care (such as dressing, feeding and toileting). In order for a child to take part in these situations, they require concentration so they can learn and complete the activity, motor and perceptual skills so they can control and coordinate themselves and the ability for their mind to be calm and focussed so that they can learn. Sensational Kids’ experienced Occupational Therapists work with children to help them to become more independent and skilled in these areas. Attention and concentration including ADHD / ADD. Completing daily activities such as feeding, toileting, dressing, shoe tying or bike riding. Fine motor control and coordination, grasp and handwriting. Gross Motor including muscle control & coordination in physical activities such as climbing, running, walking or throwing. Processing sensory information such as touch, smell, taste, movement or sight. Children with challenges in this area can be either over-responsive or under-responsive to sensation and may be seen as being overactive and risk-taking through to very quiet and withdrawn. Visual perceptual for example, having difficulty processing visual information and matching this to something meaningful. Visual perception is very important for learning to read, copy, have good hand-eye coordination or complete any number of activities. Learning, for example remembering things, planning, problem-solving or organisation. Emotional, sensory or behavioural regulation, for example remaining calm and in control in stressful situations. DOES MY CHILD NEED ASSISTANCE? No referral is needed to see an Occupational Therapist. Simply contact our admin team to make an appointment. Give us a call to book in with one of our skilled Occupational Therapists. Occupational Therapists are the best people to assess your child’s motor skills, sensory needs and thinking skills and they will be able to identify any concerns and help organise therapy sessions to suit your child’s needs. Our Occupational Therapists use the Floortime model as well a wide range therapeutic techniques to help children reach their goals. Floortime is a therapy approach that focuses on joining children in activities that they enjoy and builds upon their strengths through warm and engaging exchanges. These exchanges encourage communication, connection and emotion. They challenge children to be creative, spontaneous and to push the boundaries to further explore and understand their world – thus strengthening emotional and intellectual growth. 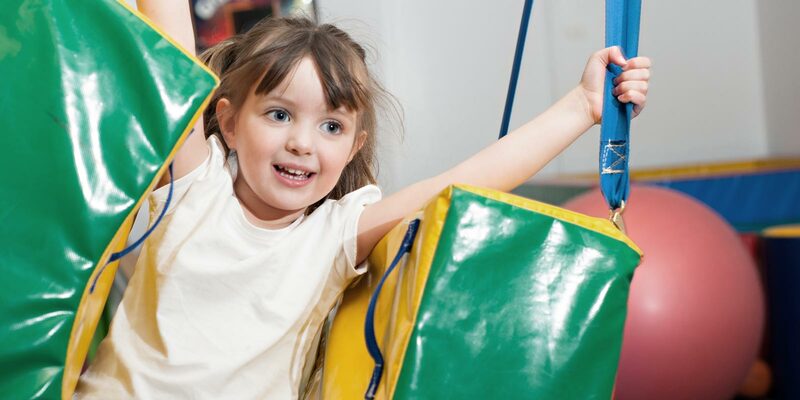 Sensory Integration Therapy is an individualised plan of sensory and motor skill exercises to help your child move more safely and calmly in their environment, and navigate potentially overwhelming situations. The program can include sensory diets (a home therapy program that helps your child remain calm and alert throughout the day) and Wilbarger Brushing Protocol (a therapy program to help kids who are easily overwhelmed by touch). This program is used to help kids who have difficulty processing sensory information through a combination of sound, music, sensory activities and movement. It aims to stimulate the auditory system to help improve a child’s concentration, focus and attention in play, school and everyday life.